Foto de stock - Coach or Horse carriage with tourists at Buyukada (meaning ""Big Island"" in English) or Prince Island. 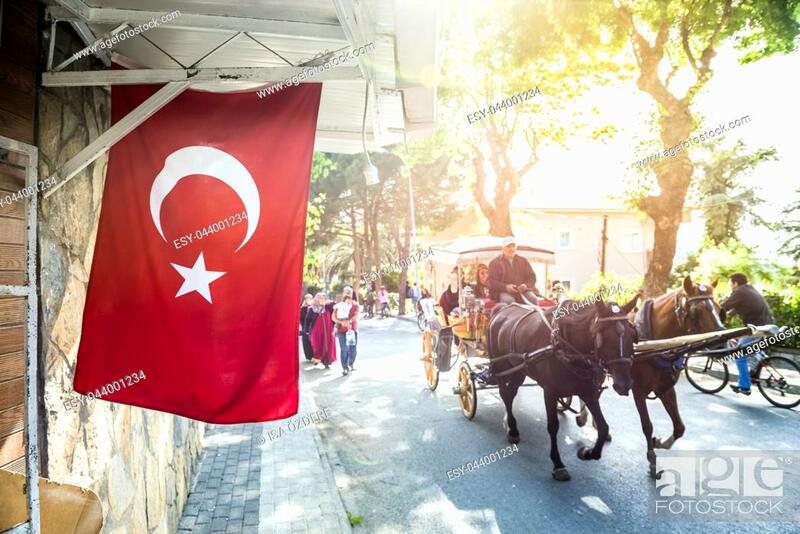 Buyuk ada is famous for beautiful streets and phaeton tour in Istanbul,Turkey. 20 May 2017.